WooCommerce is the best plugin for making WordPress eCommerce store. Lots of paid and free extensions are also available to enhance the power and functionality of WooCommerce. Here we are listing 10 free WooCommerce extensions that can help you to supercharge your WooCommerce store to up on its next level. Smart Manager is a well-developed WordPress plugin that can provide your WooCommerce the speed, ease, and the power of Excel like spreadsheet. This excel like spreadsheets can helps in managing products, product variations, customers, coupons and orders. So it can be very useful and time saving tool for eCommerce site owners. It is listed under "WordPress" > "WooCommerce Extension". The name of the author is StoreApps. The publisher is WordPress Plugin Repository. It was first get published on January 25, 2011. On April 25, 2019, it was last get upgraded. Tags: Woocommerce Inventory Management, WooCommerce Stock Manager, Woocommerce Bulk Price Change, Woocommerce Advanced Bulk Edit, Woocommerce Manage Stock. Prices & Currencies: In this label they are concentrating in Bulk Price Converter, Currencies, Currency Exchange Rates, Currency for External Products, Prices and Currencies by Country and Wholesale Price. Button & Price Labels: In this label they are concentrating in Add to Cart Labels, Call for Price, Custom Price Labels and More Button Labels. Products: In this label they are concentrating in Crowd funding, Product Add to Cart, Product Cost Price, Product Images, Product Info, Product Input Fields, Product Listings, Product Tabs, Related Products, SKU and Sorting. Cart & Checkout: In this label they are concentrating in Cart, Checkout Core Fields, Checkout Custom Fields, Checkout Custom Info, Empty Cart Button and Mini Cart. Payment Gateways: In this label they are concentrating in Custom Gateways, Gateways Currency, Gateways Fees, Gateways Icons and Gateways per Category. Shipping & Orders: In this label they are concentrating in Address Formats, Order Custom Statuses, Order Numbers, Orders, Shipping and Shipping Calculator. PDF Invoicing & Packing Slips: In this label they are concentrating in PDF Invoicing. Others: Admin Tools, Emails, General, Old Slugs, Reports and WPML. It is listed under "WordPress" > "WooCommerce Extension". The author name is Algoritmika Ltd. The name of the publisher is WordPress Plugin Repository. It was first get published on June 12, 2014. It was last get upgraded on April 24, 2019. Tags: Woocommerce Jetpack, Woocommerce, Booster For Woocommerce. This particular WooCommerce extensions is very demandable for creating, printing and for automatically attaching invoice PDF to WooCommerce emails of your choice. Not only this you can also download or generate the PDF invoice or packing slip from the order admin page in bulk. You can also get full customizable HTML/CSS invoice templates, with that you can download invoices from the My Account Page. Sequential invoice numbers along with custom formatting is also available. Along with English, this extension is also available in other seventeen languages. It is listed under "WordPress" > "WooCommerce Extension". The author name is Ewout Fernhout. It is available at WordPress Plugin Repository. It was first get released on January 17, 2014. It was last get updated on April 23, 2019. Tags: Invoices, Woocommerce, Print, Packing Slips, Pdf. Stripe payment gateway is getting popular day by day. Through this extension payment through credit cards via Strips directly on checkout page are possible. There are lots of features available with this extensions but the one which is very important is CartSpan QuickBooks accounting integration. As a result, getting payment for account reconciliations is possible. Although there are many comprehensive online payment gateway, this system is not available with any other gateway or WooCommerce accounting integration. It is listed under "WordPress" > "WooCommerce Extension". The author name is Syed Nazrul Hassan. It is available at WordPress Plugin Repository. It was first get published on February 12, 2015. It was last get updated on July 21, 2017. Tags: Stripe Woocommerce Plugin, Woocommerce Plugin Stripe Alipay Bitcoin, Stripe Payment Gateway For Woocommerce, Stripe Alipay Bitcoin For Woocommerce, Stripe Alipay For Woocommerce. This search extension can make any WooCommerce store more faster and more advanced. You can search any WooCommerce store faster like any lightning thunder. You will receive much advanced, appropriate and professional search result pages. You can do instant product searches and its promotions. You will get a personal real time search suggestions. We will also get instant online search portal, terms report and automatic generated search filters for your store. It is listed under "WordPress" > "WooCommerce Extension". The author name is Fast Simon Inc. It is available at WordPress Plugin Repository. It was first get available on May 01, 2014. On April 10, 2019, it was last get upgraded. Tags: Woocommerce Product Search, Woocommerce Search Plugin, Woocommerce Search, Woocommerce Advanced Search, Search Woocommerce. Applying this extension you can extend WooCommerce so you can offer your products at different prices for your different customer groups. In an example you can say if you want to give or set different prices for your subscribers and contributors from your new customers then it will be an easy job to set that different price. It is listed under "WordPress" > "WooCommerce Extension". The author name is Varun Sridharan. It is available at WordPress Plugin Repository. It was first get released on February 25, 2015. It was last get upgraded on September 27, 2018. Tags: Woocommerce, User Role, WC Role Based Price, Role Based Pricing, Wc Dynamic Pricing. With this plugin you will get the assistance in implementing and calculating the shipping costs based on your products weight, size, post code, state, and country of our customers. So, if your shop needs a more complete shipping solution with many different options, this plugin may handy for you. It is listed under "WordPress" > "WooCommerce Extension". The author name is Art Project Group. It is published by WordPress Plugin Repository. It was first get published on November 24, 2013. It was last get upgraded on April 09, 2019. Tags: Woocommerce, Plugins, APG, E-commerce, Art Project Group. On many shopping websites you may noticed that if customers buy more than five items they will get a certain discounts on their purchase. This plugin can exactly help to obtain this feature in your shop. So for adding discount button or bulk discount options you can rely on this plugin. It is listed under "WordPress" > "WooCommerce Extension". The author name is Rene Puchinger. The publisher is WordPress Plugin Repository. It was first get available on July 04, 2013. It was last get upgraded on February 16, 2018. 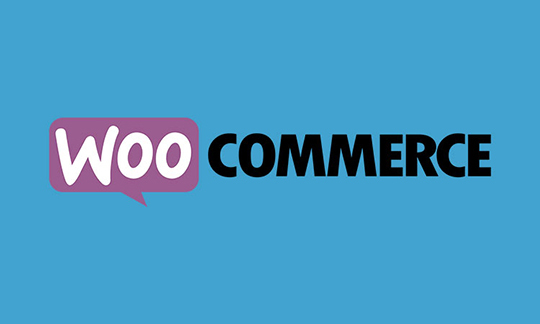 Here we have got 10 very important WooCommerce extensions which you can use freely to make a best and user friendly shopping websites. Hope this list will make your search little bit easy and time savings.